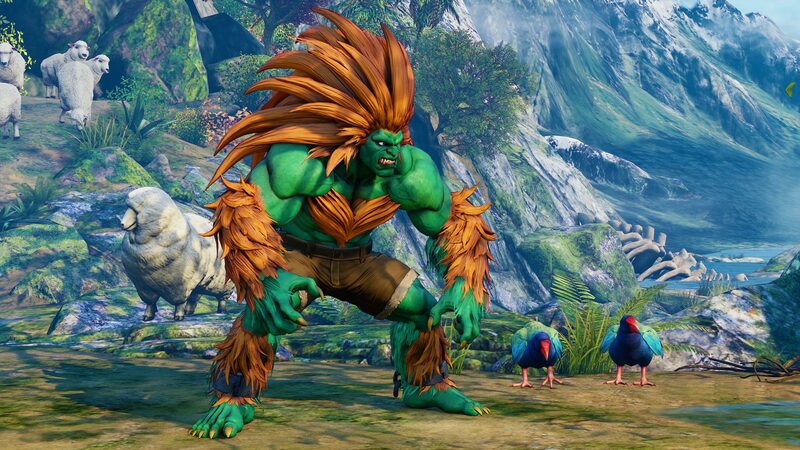 Blanka, the next DLC character for Street Fighter V: Arcade Edition is nearly ready to go! 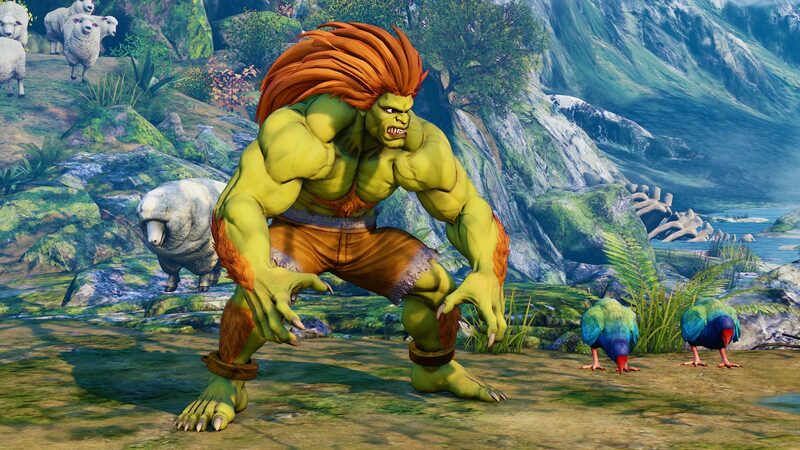 Releasing February 20th, Blanka will retain his old school fighting style and iconic special moves, but will also bring some new techniques to the table. 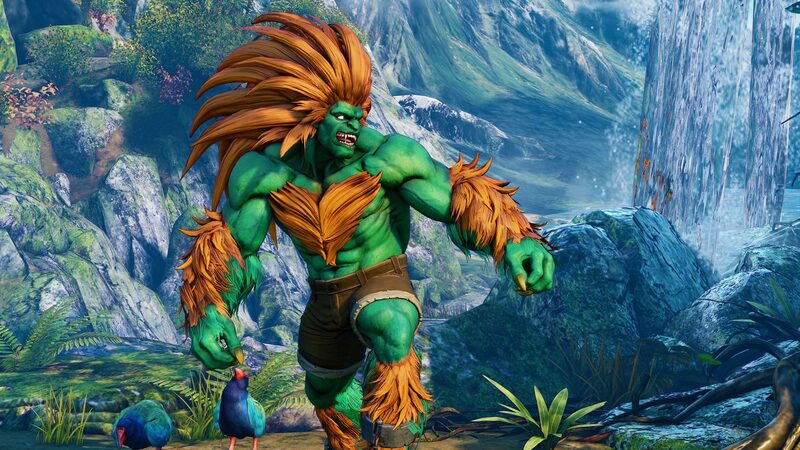 Below, check out Blanka's official SFV trailer, screenshots, character art, costumes, and read up on his V-Trigger details. 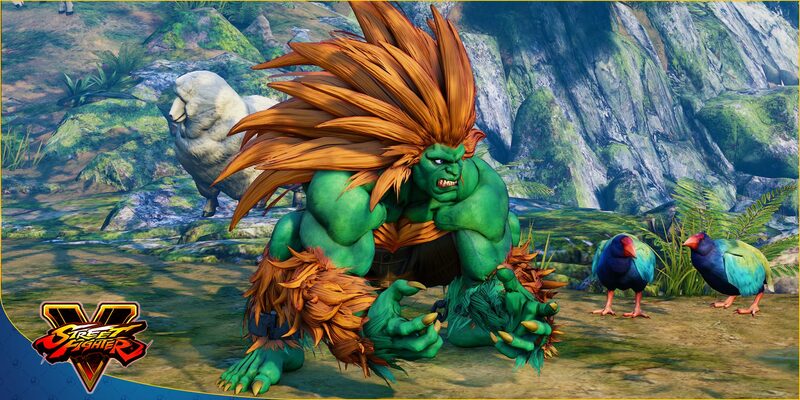 [UPDATE] Blanka's SFV Movelist and Combat Data has been posted on Capcom's CFN. Capcom Fighters also posted a stream archive showing off lots of Blanka gameplay. From Capcom Unity: "In SFV: AE, Blanka is living peacefully with his mother, and has adapted well to being introduced back into society. One day, a suspicious salesman approaches him and offers a way to make Blanka famous by mass producing a doll made in Blanka's likeness. Will it work? Find out in his character story mode! Blanka's gameplay remains animalistic in nature and sees him scratching, leaping, and pummeling opponents reflecting his time in the jungle. He retains his signature Electric Thunder attack that emits electrical currents around his entire body, which can be continuously performed by repeatedly pressing his punch buttons. Also returning are his multiple rolling attacks, which can be used to approach opponents from different angles or used as a combo ender." New to Blanka's arsenal is a command grab called Wild Hunt, where he leaps forward and viciously scratches the opponent before throwing them a set distance away from him. 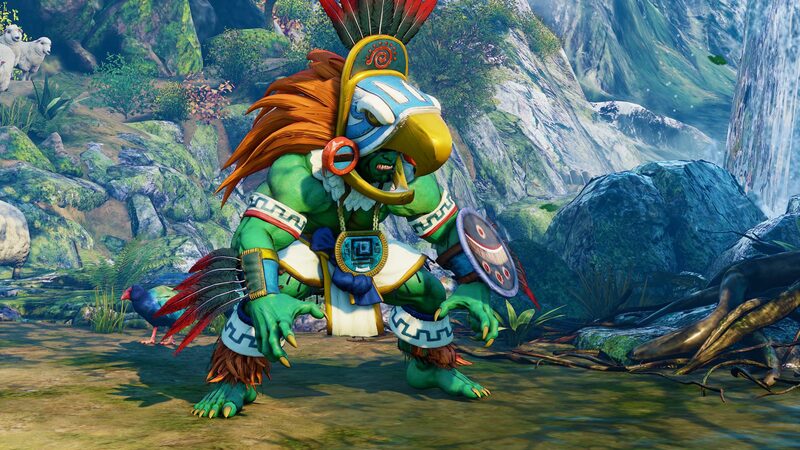 This addition to his move set opens up more opportunities for Blanka to be aggressive. V-Skill: Coward Crouch - Blanka immediately ducks for cover for a short time before rising back up. His V-Skill can avoid many attacks, including fireballs. After performing Coward Crouch, Blanka can follow up with either Wild Lift (Punch Button) or Raid Jump (Kick Button). 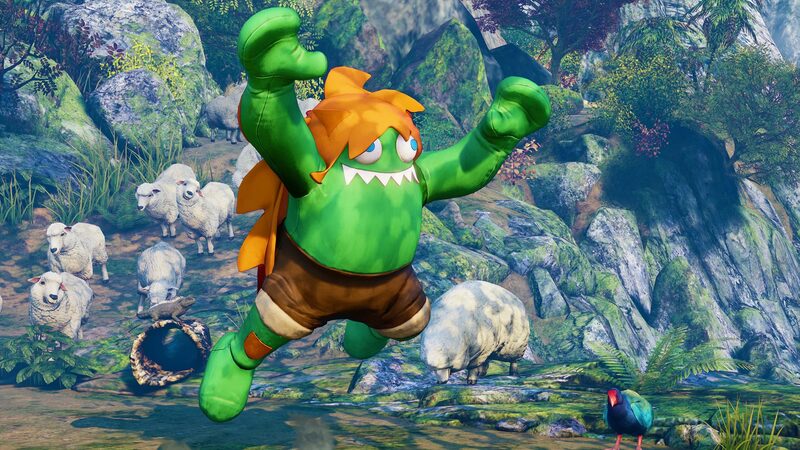 Wild Lift sees Blanka move forward while swinging his arms up to launch the opponent in the air and can be followed up by a normal, special move, or even a Critical Art. Using Raid Jump, Blanka swiftly jumps in the air where he can use any mid-air attack to advance. 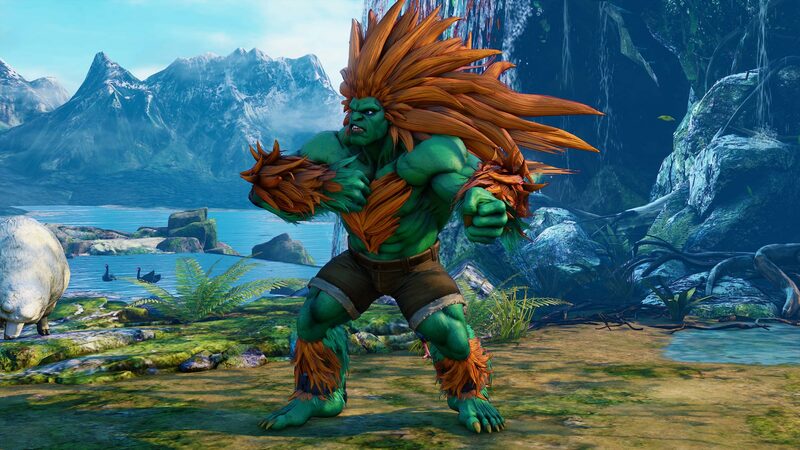 V-Trigger I: Jungle Dynamo - Blanka's V-Trigger I gives his special roll attacks more damage and can then be followed up by certain attacks, including his Critical Art. 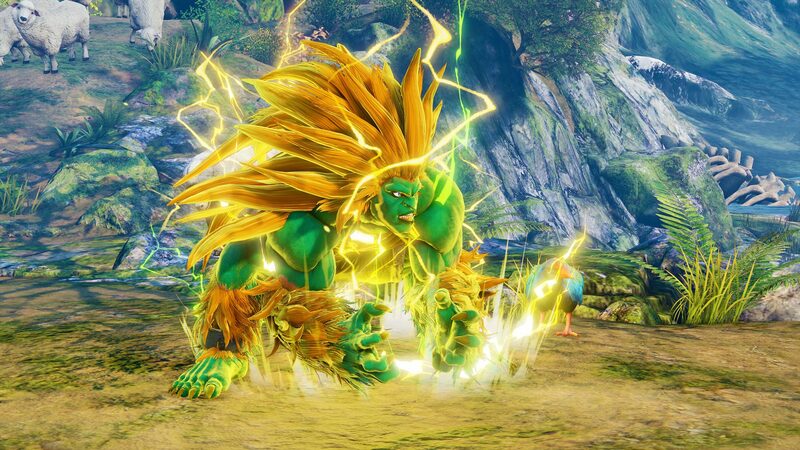 It also powers up his Electric Thunder and changes the animation so Blanka steps forward while unleashing the electric current. On hit, the opponent is launched slightly in the air and can be followed up with a rolling attack. Finally, Jungle Dynamo unlocks Ground Shave Rolling (HP+HK), which can be used as a combo extender or a way to charge in. This move was a super move in previous games, but is now a special move in SFV: AE. V-Trigger II: Lightning Beast - Lightning Beast unlocks a special move, Rolling Cannon (Direction + HP+HK), which can be performed after using Rolling Attack, Back Step Rolling, and Vertical Rolling. Rolling Cannon can be used in multiple ways, such as extending a combo for more damage or changing positions to surprise the opponent. Critical Art: Dynamic Rolling - In this Critical Art, Blanka slams his opponent into the ground in a series of electrifying rolls that ends in a move reminiscent of Lightning Cannonball from Street Fighter IV. 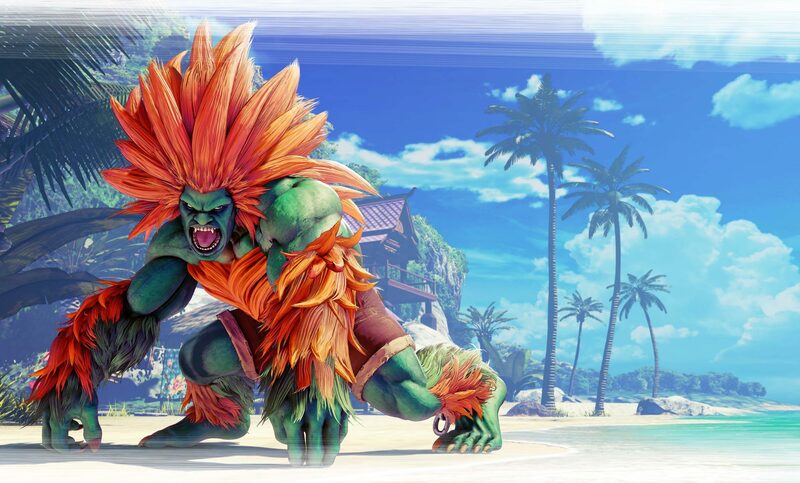 Blanka is available individually for MSRP $5.99 or 100,000 Fight Money OR as part of the Season 3 Character Pass for MSRP $29.99, which unlocks Sakura, Falke, Cody, G, and Sagat as they become available. 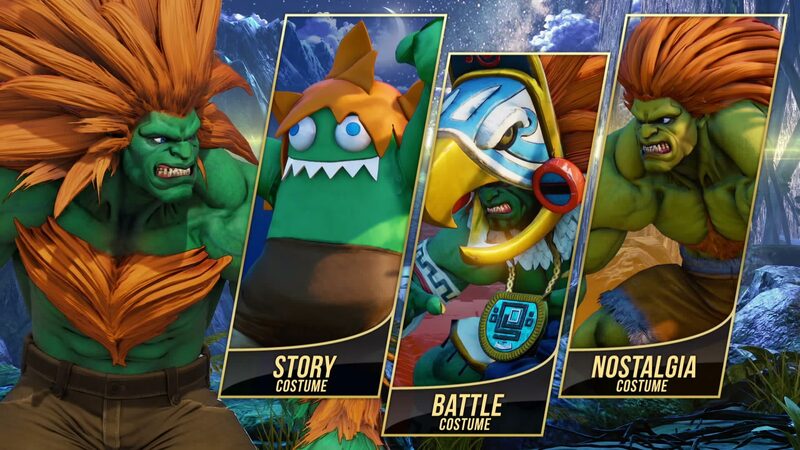 If you purchase Blanka as part of the Season 3 Character Pass or with real money, you will also get his Battle Costume with colors 3-10 and default costume colors 3-10.